Homemade Chipotle Seasoning - What's In The Pan? 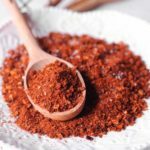 Homemade Chipotle Seasoning is a great spicy seasoning to have on hand. Use it as a rub for chicken, steak, seafood and roasted veggies. You can also add Chipotle mix to soups and sauces for that unique combination of smoky flavor with peppery heat. It’s so versatile! It is a smoked, dried jalapeno pepper. So chipotle peppers not only add heat, they add a smoky flavor. They can be ground and used in many Mexican and Tex Mex cooking, as well as in Southwestern dishes. Many people use Chipotle Peppers in Adobo sauce for a variety of dishes, especially in Mexican inspired cuisine recipes. But did you know that chipotles start from the same jalapenos that you find in your favorite Mexican dishes? Chipotle peppers are smoked and dried jalapenos – more specifically red jalapenos. 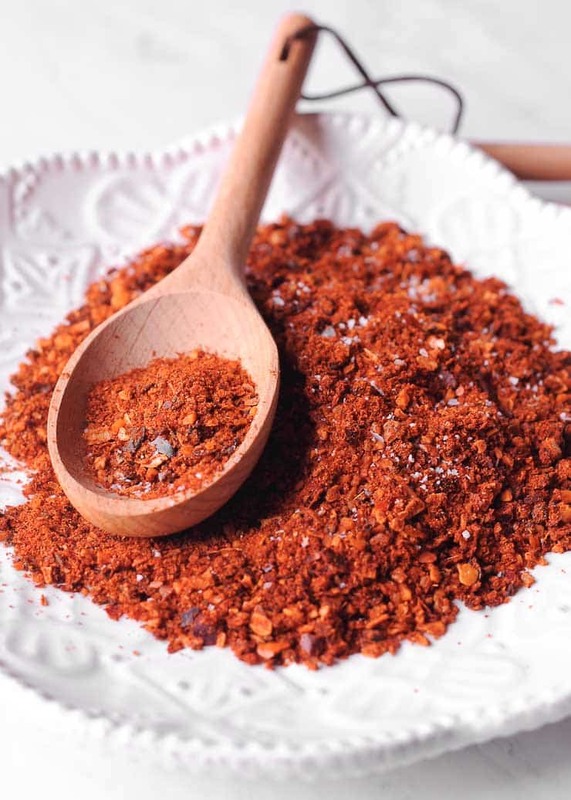 After you mix ingredients, you can use Chipotle seasoning immediately, or store in an airtight container away from heat, light and humidity. For a lower-sodium version, simply omit or reduce the amount of salt used. If you don’t like it too spicy, use less chipotle pepper. The amount in the recipe lasts me for 10 meals. I often add this Chipotle spice on top of bacon in pan before I flip it over. It’s also fantastic on Turkey skin, pork chops, ribs, steak, shrimp, not overpowering like chili powder. I dust the outside of tortilla wraps before pan warming, add to popcorn, pretzels, nuts, crackers, soft cheeses, bread with olive oil, crackers. It’s very addictive and everyone asks “What is that?” in a good way. This seasoning adds a nice smokey and reasonable level of spice to any meat, beans, etc. 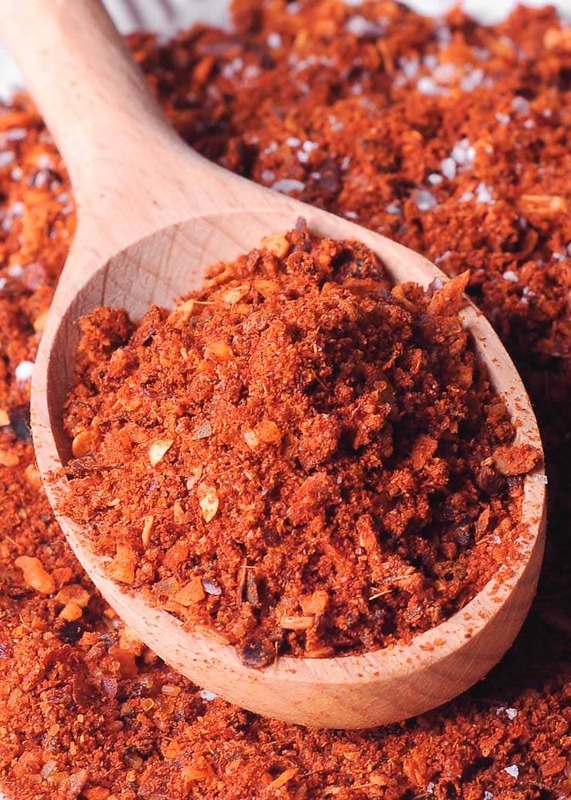 Use it as a rub for chicken, steak, seafood and roasted veggies. Or, even make your own adobo sauce. Then you can easily add it to almost any dish! I recommend using it as a rub on Baked Salmon, or Instant Pot Ribs. If you really enjoy the recipes that use this seasoning, then make a batch and store it in an old large spice container. You can use glass, plastic or even a ziplock bag. That way you will always have it in your pantry when you need it! Use it in salads, on meat, chicken, and in adobe sauce. Mix all ingredients together in a small bowl or plate. Store in airtight container for up to 4 months.